Choose Hardwood Floors, Laminate Flooring, Engineered Wood, Vinyl Floors, Parquet Flooring, Bamboo Floors, Tile, Carpet, Linoleum & More. Bring your old floors back to new with our wood floor sanding & refinishing service ! Customize your interior with elegant stairs & rails. 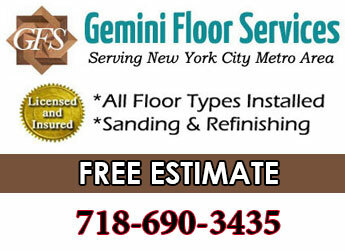 Gemini Floor Services - Hardwood Flooring, Laminate Flooring & All Types of Flooring Installation, Maintenance & Repair. Locations in Brooklyn & Long Island. 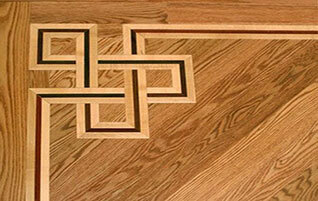 Gemini Floor Services is family owned & serving in the hardwood flooring industry for over 30 years. 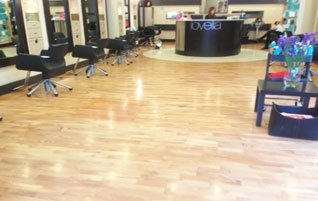 Contact us for a full range of flooring services including installation, maintenance & repairs to meet all of your flooring needs. We do all types of flooring installation. Hardwood flooring is our most popular request. 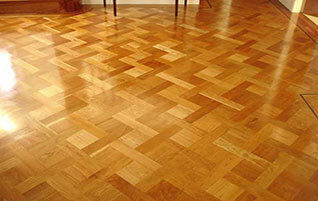 The classic look & feel of wood floors will transform & add value to your space. 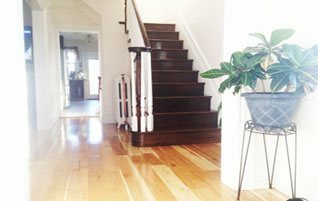 We offer standard wood flooring installation & custom hardwood floors. Contact us now for all your flooring needs: Wood floors, Tile Flooring & Vinyl Floors. Serving New York City including Brooklyn, Queens, Manhattan, Staten Island, the Bronx, Long Island and all surrounding areas in New York, New Jersey & Connecticut. Call anytime for a free consultation & estimate. A professional will come to your property & help you choose the right floor type, design & materials to meet your vision & budget. 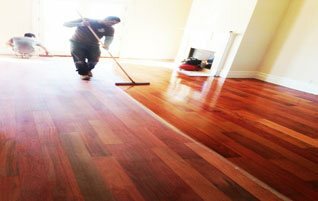 We offer complete flooring services including new installs, refinishing & repairs on all types of floors. 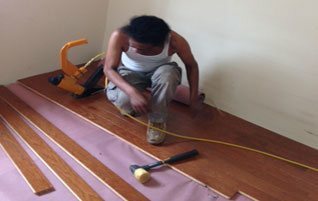 We install all types of flooring materials: hardwood flooring, laminate, bamboo floors, cork flooring, engineered hardwood, carpet, vinyl, linoleum, ceramic, porcelin, stone. Choose from a huge variety with our manufacturers' directory. Start with a free consultation & estimate where we will help you choose the right floor type & design to meet your vision & budget. Find out about preparation steps before an install. Enhance your interior with custom design work such as borders, medallions, inlays, moldings & parquet floor patterns such as herringbone. Complete your upgrade with new steps & rails. We work to install your floor cleanly & efficiently with little interruption in your home or business. We work with top of the line vacuum equipped sanding machines for minimal dust and offer a wide variety of eco friendly stains & finishes.